Dressing your children can be quite struggling. Sometimes, you tend to be hot-headed because you don’t know what to put on their young bodies to make them look fashionable and trendy but without compromising their safety. It is also essential to ensure that they are comfortable when they go out and play. Parents out there must pay close attention to each piece of cloth their children are wearing. From headdresses up to socks, you make sure to find quality pieces. But how could you choose to clothe for our kids especially when you are buying online? What are the things you must focus your attention when selecting clothes for your children to wear? Do your kids like to wear socks? If so, it is a must that you buy a well-made pair. Socks are used to covering the feet from dirt and dust. It also keeps the feet warm and comfy. For a kid, with his little toes swaying back and forth, socks are required. Find socks that are comfortable to wear and made of fine cloth or materials that will not irritate their skin. Socks are very functional, but it could also be a fashionable piece of clothing. Some socks have nice designs that the kids will enjoy wearing. If you have little girls, you can even get those socks with laces and ribbon. These will surely look good on your little princess. The very first thing to consider when buying socks online is the size that your kid needs. You don’t want your kid complaining that his socks are too loose or too big. For sure, you don’t want to see them crying because it’s too tight, don’t you? So basically, sock-sizing is a vital matter to include in your notes. Secondly, Consider the Kid’s age. The rule is a different age means a different preference. The older you are, the less you prefer heavily designed socks. Kids are naughty and very inquisitive so when choosing socks, always consider the age. Thirdly, you must pay attention to the shoe size. The size of the shoes and the socks that your child will be wearing must correlate to each other. If your kid has tight shoes, make sure to get very light or thin socks. However, if your kid is going to use it while using rubber shoes, make sure to get a thicker sock that is good for playing sports. Fourthly, designs and themes. 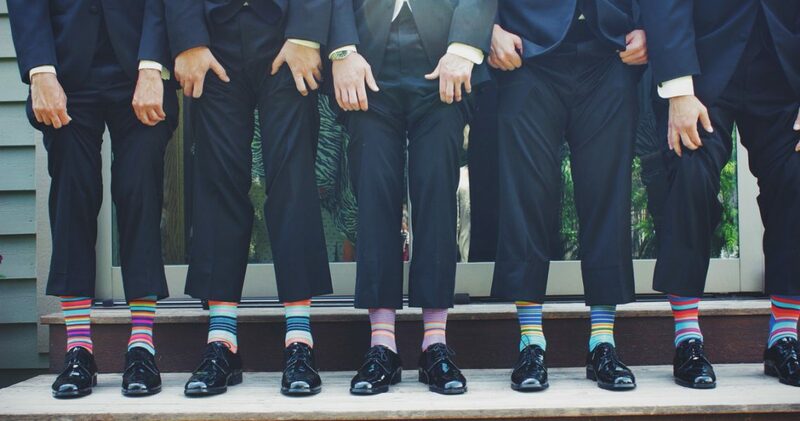 There are many different kinds of socks intended for separate occasions. Some products are just plain, and there are some with elaborate character designs. Choosing the right pair of socks for the right occasion will turn your kid to enjoy it and have happy feet. Lastly, the materials. Socks are supposed to keep your kid’s feet warm and protected so it must be made up of durable and soft material for a more comfortable feeling. Those are just some of the factors to consider when buying socks online. However, you still have your preferences because as a parent, you know the child better.